Non-Toxic Munchkin: NTM Approved: Stylish, fun and non-toxic... happy back-to-school shopping! NTM Approved: Stylish, fun and non-toxic... happy back-to-school shopping! Our munchkins are back in school , or starting for the first time (like my own munchkin who starts Pre-K 3 this week!). The reality is that they will spend a large part of their day at school touching, using and even eating from this year's new school supplies. With studies showing that over 80% of school supplies are exposing our munchkins to toxic chemicals, suddenly back to school shopping takes on a whole new level of importance. Lucky for you, here's a guide with a whole bunch of Non-Toxic Munchkin Approved school supplies. Stylish, fun and non-toxic... all the makings of happy back-to-school shopping! 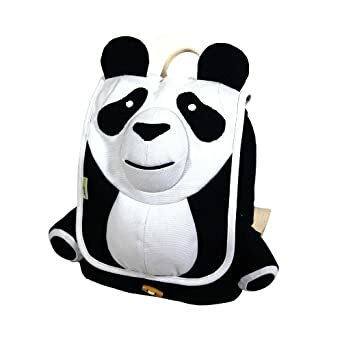 Unfortunately, if your child is bent on having a backpack with a superhero or well-known cartoon character, chances are you will find it on a plastic shiny backpack that -while it may not cost you much- is most probably filled with a couple of worrisome chemicals. 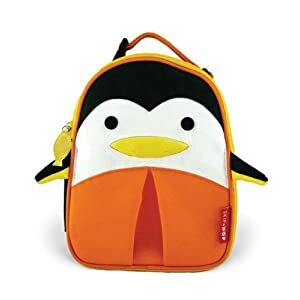 If your backpack does not clearly state it is PVC-free and if it smells with that yucky plastic scent… the backpack contains lead, PVC and/or Phthalates... which are all terrible chemical to surround a child with on a daily basis. Might just be the most adorable colorful animals to be seen at the school yard and perfectly sized for younger and older munchkins. Their new line of super colorful backpacks are bright, colorful and everything a child’s backpack should be! Made from machine-washable organic acrylic-coated cotton, designed in Sweden and made in the USA. Made from 100% recycled canvas these are a stylish option for a safe toxic free lunch box! BPA, Phthalate Free and PVC Free... Dwell Studio is known for their bold modern patterns and these are some of the coolest kiddo prints out there. Just like their super cute backpacks, Skip Hop’s lunchies are adorable lunchboxes for munchkins. Choose from the cutest monkey, doggie, fox, hippo... rest assured you will find an adorable animal lunchie to match your munchkin’s personality! BPA-Free, Phthalate-free, PVC Free of course! Perfect for the old school lunchbox lover. Covered in eco-friendly, lead-free tin ( with a chalkboard surface on the inside of the lid – perfect for a sweet little note from mom!). Designs are limited but fun and can be personalized and customized... for free! They come in cool patterns for kids and are PVC Free. Phthalate Free. Vinyl Free. By now most of us should know that plastic food containers can leach toxic chemicals into our food. The best alternative is using stainless steel containers for your munchkin’s lunchbox. Another option? Cloth reusable snack packs. The ideal substitute for plastic sandwich or snack bags that usually have BPA , many companies are now producing cloth snack bags. Reusable, machine washable; ideal for all kinds of snacks and sandwiches. Make sure you buy the ones with BPA free lining for stickier snacks like fruit etc. .
Itzy Ritzy Snack Happened Mini Reusable Snack Bag: Adorable prints for kiddos and made with an FDA approved, BPA-free machine washable lining. Also lead free, phthalate free and CPSIA certified. Lunchskins Reusable Bags: also come in various sizes for sandwhiches or smaller snacks and in really cool designs and colors (that older kids and parents would appreciate too!). Machine washable and BPA-free, lead-free and phthalate-free. Fluf Organic Snacl Packs: From $16.50 for a 2 pack. Fully machine washable (with a wipeable, water-resistant lining), these bags are easy to keep clean, functional, durable and - above all - safe and healthy... and, yes, cute. Tested food-safe lining. Free of BPA, phthalates and lead. Velcro closure. Plastic, even if it is BPA free, is really best to avoid if you can, especially with so many safe, cute and functional stainless steel or glass options. When choosing stainless steel make sure it does not have a BPA lining in the inside (it should specify it is BPA free). While most crayons and kids paint are supposed to be non-toxic, the reality is that industry standards allow companies to say that their crayons and such are non-toxic, but most of them are made from petroleum byproducts, which you certainly would not want going into your child’s mouth any time soon. In general, avoid crayons or markers that have smells, since that means they probably have phthalates. Also avoid antibacterial products... I mean really do your crayons have to be antibacterial? Antibacterial products have Triclosan, a bad chemical linked to hormone disruptions, allergies, asthma, skin irritation, eczema, and thyroid problems. Finally, for paint look for water based. Clementine Art: Paint, play dough, crayons and glue. All from natural ingredients with no chemical dyes or other additives. This is the company I usually turn to for my little budding artist! A great alternative to those plastic hard covered binders that are mostly made out of PVC. These Project Binders are made from 97% FSC certified post consumer waste, like recycled magazines, newspapers and office papers. Strong and sturdy, the colorful spines are made from 100% cotton book cloth and a water-based glue... and they come in super fun colors too! Made out of natural latex instead of PVC. Natural rubber boots (like these) often have a jersey cotton lining, while plastic boots can often be quite cold on the feet: great for autumn days. PLUS, for every pair of Roma rain boots you buy, the company’s nonprofit subsidiary, Roma for All, gives a pair to a child living in poverty. Need another reason to encourage jumping into puddles this school year? The folks at Mimi the Sardine just wrote to let us know that their super cute backpacks featured in today's blog post are on sale right now, 2 for 1! What a great deal!